Society building, built 1787–1788 by Jacob Otten Husley for the society "Felix Meritis" (Happy through Merit), including an oval concert hall (1787: 600 seats). Various rebuildings. Used as "European centre for art, culture and science". 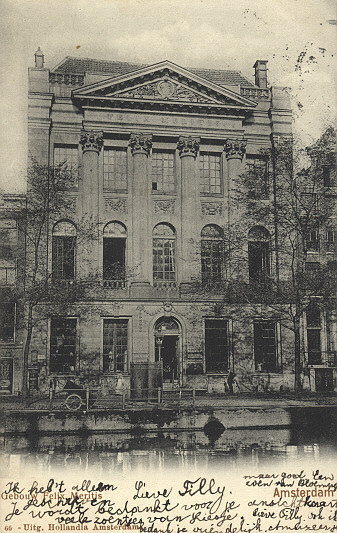 Front Text: "Gebouw Felix Meritis, Amsterdam"